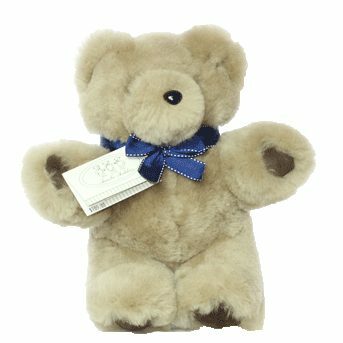 Little Aussie Ringer- a really unique Aussie teddy bear. 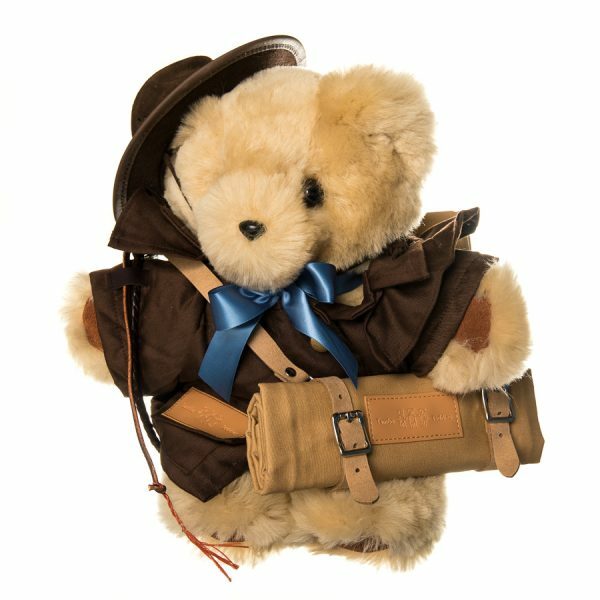 The charming ‘Ringer’ is the small ‘Basil’ Teddy, with suede paws, all dressed up and ready for a hard day’s work on an outback station. 25% Upfront, Then 3 Payments of 25% Every 2 Weeks. 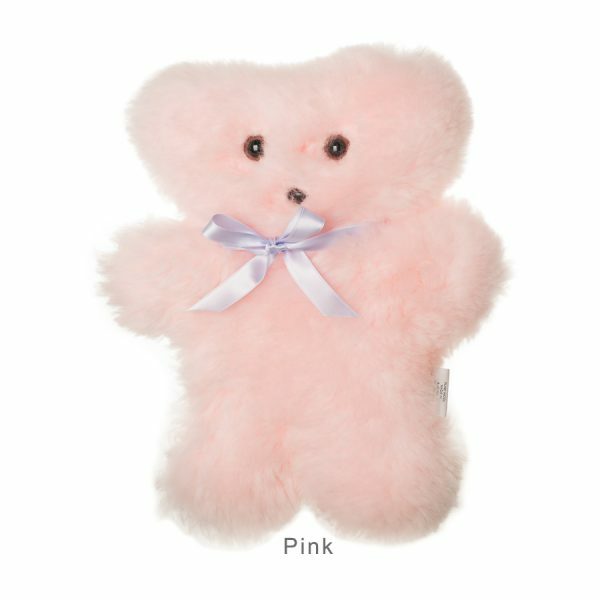 The Little Aussie Ringer Tambo Teddy is a really unique Aussie teddy bear. 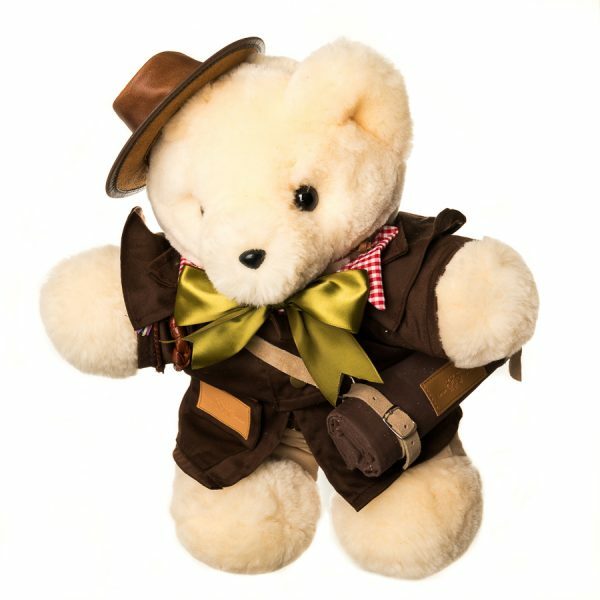 Crafted with tough suede paws, he is dressed in his Bear-as-a-Bone and leather hat and carries his swag and leather stock whip with him everywhere he goes. 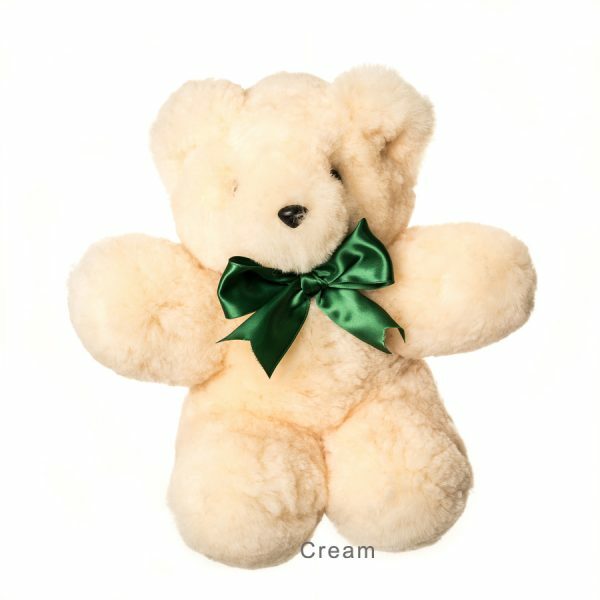 He is a unique Australian product that would make the perfect gift. Little Aussie is 30cm tall approximately. 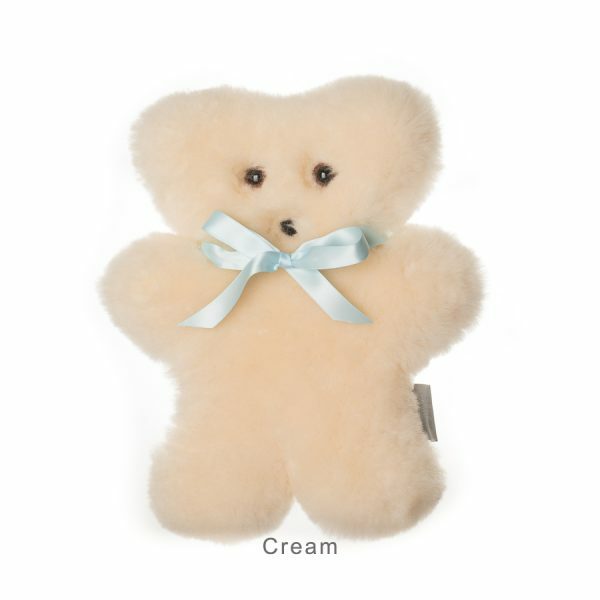 He is hand made from high quality Australian wool. 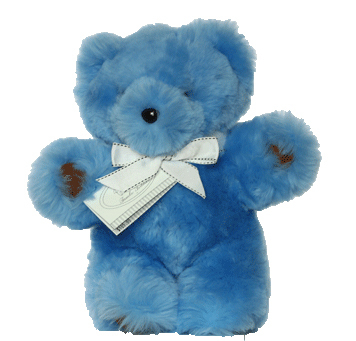 Caring for your Tambo Teddy.